Welcome and hop your had an enjoyable weekend, if your come from Alison’s blog I wonder what she has made for us. Its always exciting to check out each others cards, its a way for us to grow and strengthen our skills. This is the sketch that Teneale has given us to work with. Personally I love sketch challenges and should do more of them, it also makes us stretch our imagination and create without copying other people. I actually had forgotten about the blog hop, but had some stamps and dies sitting on my desk as I have classes on Friday, then combined classed with Teneale on Saturday and Sundays. So needed to be thinking of what we are going to make. Before bed, I was told that if you think your going out with your friends Mum, you need to let me know that your got your card made………………..lol how bossy is that. Anyway I had loved the Dear Doily stamp and die set, which was one on my desk, I went to sleep thinking now I could quickly make a card with that, think it would fit the sketch. I used the subtle embossing folder after I had stamped the blossom down one side. 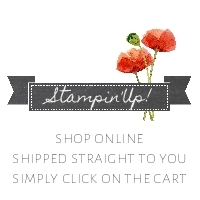 I had taken my Stampin Write markers to the stamp. I used Lemon Lime Twist and Powder Pink. I then cut out the doily in powder pink and gray granite card stock as the strip down the side, trimmed with the beautiful dies from the Be Mine Stitched Framelits Dies. I might tell you I only bought this set for that edge. Now I love all the dies in the set……………its a keeper. Here is the finished card, I told Teneale its a hot card, just like her Mumma…………………lol I might add I wasn’t allowed to go play with my friends unless I had made it before I went out, so she could come and do my photography. I am so so lucky that she looks after me so good. Next your off to see what Teneale has made for you. Your going to be blown out of your mind, its so beautiful.